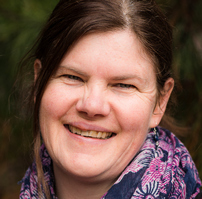 With her research interests in GIS (Geographical Information Science) and in particular the application of spatial science to environmental modelling, Associate Professor Rachel Whitsed has been involved in developing ecology and agricultural applications. Her other areas of interest include uncertainty in GIS, spatial algorithms and programming and developing world precision agriculture. Whitsed, R., & Smallbone, L. (2014) Uncertainty in a cellular automata model for vegetation change. Journal of Spatial Science, 1-16.